The 14.5" Aluminum Darbuka with Built-In Tambourine from Tycoon Percussion is a goblet drum with a built-in tambourine that is designed to deliver crisp sound with optimum resonance. 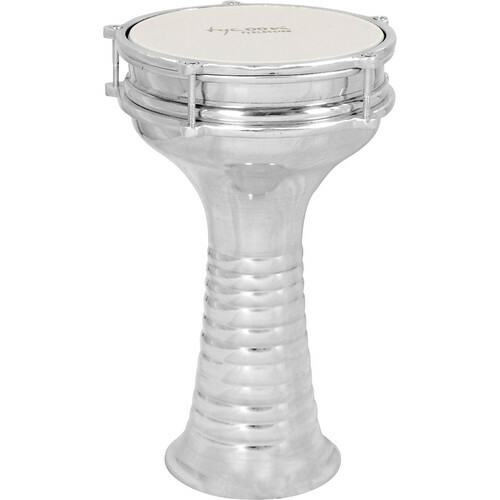 The Darbuka is 14.5" high and features an 8.5" head diameter. This package includes a tuning key. Box Dimensions (LxWxH) 15.5 x 12.25 x 12.25"